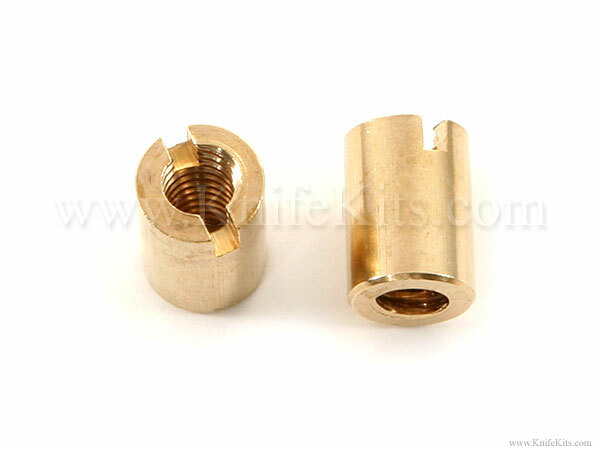 This CKK designed brass tang nut fits many of the hidden tang blades on the market today and will also work great on custom hidden tang knife designs. Threaded 1/4-20 (and slotted on one end for tightening-up the handle) this brass tang nut will hold your handle and pommel tight for a secure, attractive finish. Width = .390" or 25/64"
Height = .550" or 1/2+"